The Crescent Hotel in Eureka Springs, AR is perfect to Reconnect Friends Riding for Adventure and Connect Families with Fun Rides enjoyed together. The Crescent Hotel is BIKE FRIENDLY. 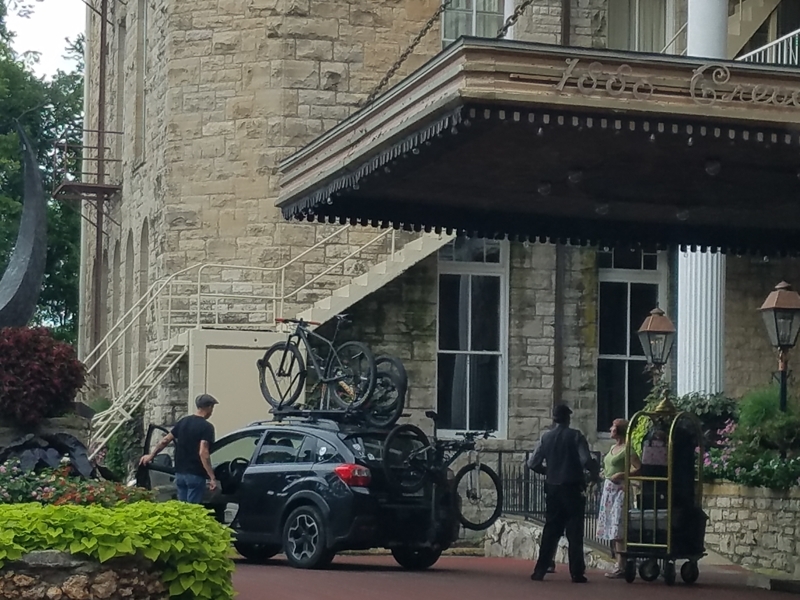 A Signature Destination of the OzTrails System, Mountain Bikers find Eureka Springs and the Crescent Hotel as a top biking destination and comfortable Base Camp. At Base Camp Crescent, bikers enjoy a discounted rate and can expect a welcoming staff, an array of resort activities, comfortable and diverse accomodations, spa services and the best Gourmet Pizza and View in the Ozark Mountains. 7 Downhill Trails at Lake Leatherwood City Park: All Downhill trails are about a mile in length. To access the Downhill trails, parking available at Leatherwood Sports Field or at Miner’s Rock Parking Lot and coordinate a shuttle ride up to the entrance of the Downhill trails off of Hwy 62W. Shuttle Service available. Experience the beauty of the Ozark Mountains while exploring the grounds of The Great Passion Play. 12 Miles of Trail with another 6 planned are built specifically with mountain biking in mind and are therefore graded on mountain biking difficulty. Base Camp Eureka Springs but ride the region. 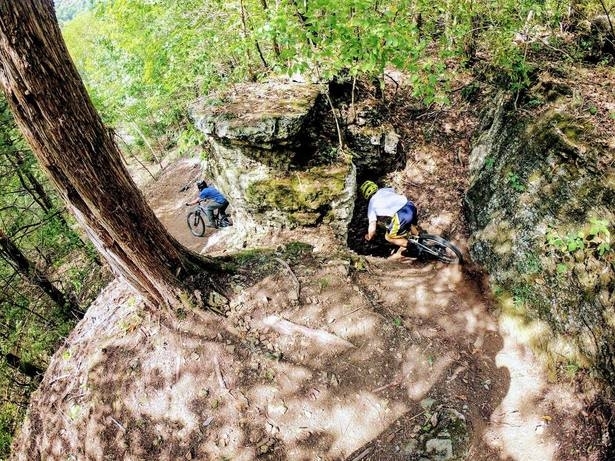 Hidden in Northwest Arkansas are 300 miles (and counting) of year-round mountain bike trails, ready for riders of all skill levels to shred. 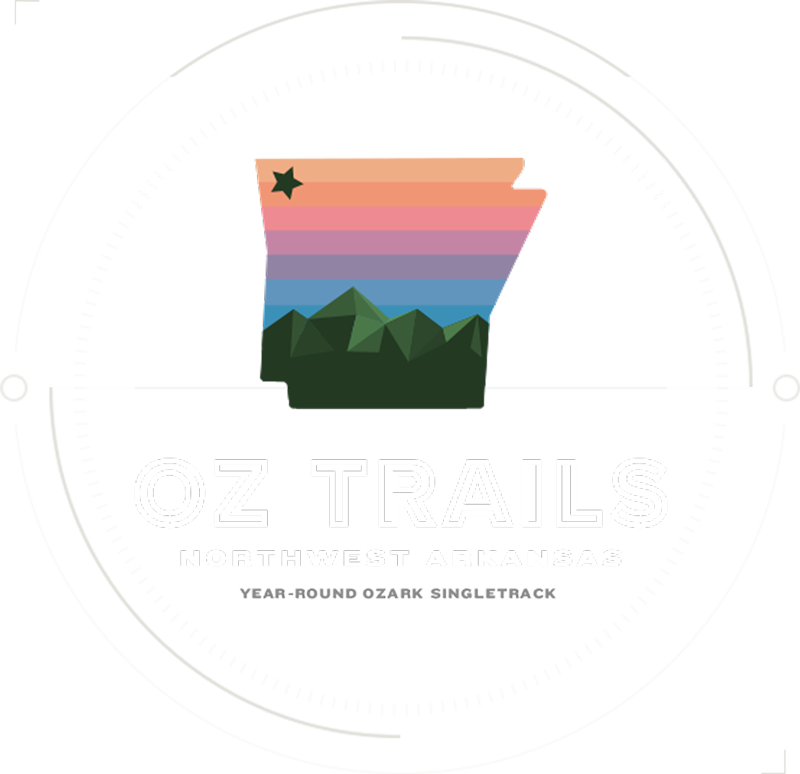 Home of the 2016 IMBA World Summit, Outerbike, Oz Trails Off-Road and the Arkansas Enduro Series!